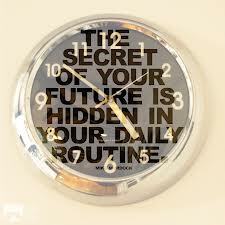 One of the main issues facing people today is getting a routine going. As Peter wrote in his blog, and for Yofittv, a while ago; Getting a routine is probably even more important than motivation. So we’ve decided to look at what we can do to help those who are struggling with this out and here it is. A package specifically designed to get you into an exercise routine! 12work-out sessions and a personalised food guide during which we will give you all the tools you need to keep going after the package has finished. The 12 workout sessions can be taken as part of a twice or 3x a week structure, depending on your own circumstances, to be decided by you at the start of the program. You will, of course, get all the Facebook and telephone support you may require. By the end of the program you will know how to structure your own exercise and you will know what nutritional choices you should make. We will then go create a personalised work-out schedule and nutritional advice to suit your specific situation. Think about it; If you train 3x a week you will know exactly what to do and have a great exercise routine that you can stick to for the rest of your life, WITHIN A MONTH! You have to bring the motivation but we can blast you into a healthy life-style within a month! Obviously, you can “Bring a Friend” to this as well and, as usual, we offer an amazing discount. If you train with a friend, or family member, you will only pay £250 each! This is a very exciting package and, again, not something offered by any other Personal Trainer in Edinburgh which just shows you that Castle Personal Training is where the value is at.